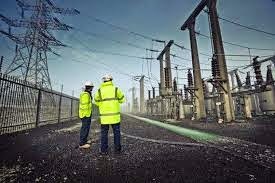 Nigeria Gists: REVEALED: Technical partners who bought Nigeria’s power assets did not pay a dime! REVEALED: Technical partners who bought Nigeria’s power assets did not pay a dime! The Senate Committee on Privatisation yesterday explained the rationale behind the dismal performance of power sector investors, stating that most technical partners that bought the country’s power assets did not bring one kobo. The committee also said the National Council on Privatisation (NCP) under the chairmanship of Vice-President Namadi Sambo committed grave errors, which it said, included the council’s refusal to sell the power assets in phases. Chairman of the committee, Senator Gbenga Obadara, disclosed the diverse challenges that made stable power supply a mirage in an interview after the private investors had bought 60 per cent equity shares in the country’s power assets. Obadara explained that most of the technical partners the federal government brought “to purchase the power companies did not bring one kobo. The partners did not bring monies. The partners only brought in their technical knowledge". He said: “The power investors did not bring one kobo. So, that is problem we have. Now, they have done the mess. The outgoing government failed to look at the financial capability of the investors that bought the power companies. He admitted that fixing the power sector “is not a thing that will take miracle to happen,” noting that the country’s power sector would have improved substantially if the vice-president had agreed to sell the power assets gradually. He said he advised the NCP against selling all the power assets at the same time, adding that if the federal government “must privatise the power assets, let it be gradual. The mistakes committed would have been known and corrected if we privatise in phases. That would have been a guide had it been the assets were sold in phases”. Obadara added that the UK Department for International Development (DFID) “captured the error in its report. I told them the case of California with 4,400 power plants and everything went down in one day. Taking a gradual step would have helped the country. Taking a gradual approach would have allowed us make mistakes and rectify it at lesser cost”. The lawmaker also pointed out how the Nigerian National Petroleum Corporation (NNPC) had been compounding the crisis of unstable power supply in the country, saying that the corporation had not been supplying gas regularly to the power sector. He added that the Independent Power Plants (IPPs) like Olorunsogo and Omotoso, among others had not been functioning effectively due to what he ascribed “to the unavailability of gas to these power plants. It is quite unfortunate". “There is no gas to fire them. Gas is the key issue. If there is no gas, you can’t fire them. Gas is not available. It is unfortunate that the NNPC will say it has gas, but the investors owe them money. Even when they did not owe, gas was not made available. Yet, the NNPC is pumping the gas to Togo rather than using it for domestic purpose. “In fact, the NNPC constitutes a major challenge to realising stable power supply in Nigeria. The NNPC preferred to pump to Togo because there was an agreement under the West African Gas Pipeline that mandated the NNPC to supply West African states. We have a lot of problems with the management of gas and gas master plan itself,” he said. Despite the dismal performance of the power investors, the lawmaker cautioned the President-elect, Maj-Gen. Muhammadu Buhari (rtd), against the revocation of the power assets, which he said, was being championed by the non-preferred bidders. However, the lawmaker added that if the power assets “are revoked as being canvassed, such decision will have grave implications. First, it will lead to several litigations. Also, it will show a bit of instability in our governance. It means any government can come after Buhari and overturn the entire process”. Rather, Obadara advised the incoming administration “to have an overview of the compliance of those buyers with the share purchase agreement. The share purchase agreements have some conditions. That is what to put to test through monitoring. A place where they do not perform well, there are clauses and penalties that can be invoked". “In this context, the incoming government will be seen to be doing what is right. Do not forget most of the power installations are 100 per cent old. What the investors bought was just 60 per cent. There is still 40 per cent for the host communities, state government and federal government,” the committee chairman said. He, thus asked the incoming administration “to look at the books of the investors that brought the power installations. "The Buhari government should also look at their investments. If the incoming administration looks at their investments and is not commensurate with what they said, the penalties can be invoked. “If we have stable power, we will not be facing all these challenges. There are a lot of small businesses that do not require much funding. Look at the cottage industries we have. Where are they? Look at the barbers of this world. The small businesses are in majority. Availability of power contributes hugely to the development of any country”.